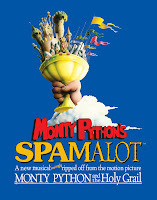 I was fortunate enough to get a pair of tickets to go see Spamalot at the Saroyan Theater in Fresno last night. I've never seen it before, but as a fan of Monty Python, and a huge fan of The Quest for the Holy Grail, I was stoked. The night was a lot of fun. I was exhausted going into it (just a long week and a long day), so I was kind of worried I'd have trouble making it through the show. Fortunately, I was very wrong. Once the show started, I had no issues keeping focused. The songs were great, the story was great, and we had a great time. 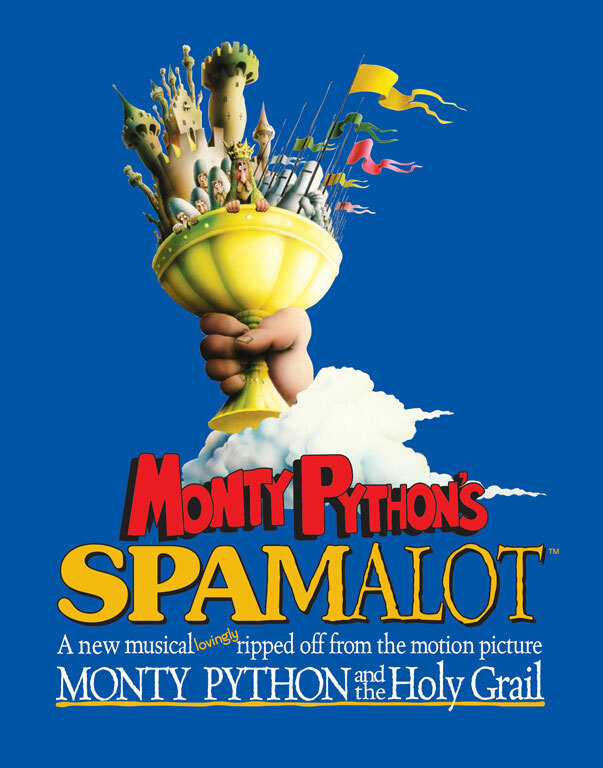 Although based on the Monty Python "Holy Grail" movie, the show doesn't follow the movie exactly. I found that the first Act was more in line with the movie, and the second Act expanded on a different story for the play. Although if you've seen the movie, you know that it doesn't really have a "conclusion" in the typical sense, so this was great. For the Monty Python fan, there were plenty of familiar scenes. Arguing with Dennis, arguing about whether a swallow could carry a coconut, the Black Knight, the Knights of Ni, the French castle to name a few. Among the big changes from the movie to the play, I really enjoyed The Lady of the Water. Only mentioned in the movie, she had a prominent role in the play, and I really enjoyed her. A bit of a diva (even a song lamenting that she's been offstage too long), she guides our hero King Arthur on his quest for the Grail. And finding the Grail? Of course they had to, you need some closure! And that's where some audience participation comes in. Not only did they "find" the Grail in the audience, the lady got to go on stage, be serenaded by the cast and had a quick polaroid snapped! And around this time there was plenty of one liners following the day's headlines (something about California's Father of the Year....Charlie Sheen!). Overall, lots of great fun, if you get a chance to see it, you'll love the silly, irreverent humor (perhaps I should use 'humour'?) that we've all come to love from Monty Python!